A-HOTEL.com - Luxury and cheap accommodation in Verkhneyearmyanskoye Loo, Russia. Prices and hotel, apartment booking in Verkhneyearmyanskoye Loo and surrounding. 9 km from Loo temple, Гостевой Дом у Моря is set in Loo and offers free WiFi and a ticket service. The property features a garden, as well as a terrace. Located in Verkhnearmyanskaya Khobza, in a building dating from 2015, Hotel Solnechnaya Dacha features barbecue facilities and guestrooms with free WiFi. With a terrace, the property also has a shared lounge. Featuring free WiFi, a children's playground and a terrace, Guesthouse Gus'-Khrustal'nyy offers pet-friendly accommodation in Loo, 1.3 km from Loo temple. Featuring an outdoor swimming pool and a garden, Gostevoy dom Vishnevyy is situated in Loo, 4.1 km from Loo temple. This guest house is located in the village of Loo, 800 metres from the Black Sea coast. Free Wi-Fi, a children’s pool and free parking are featured at Beliy Dom Guest House. "Милли-Плодовая" is located in Loo, 3.8 km from Loo temple. Offering a terrace and views of the Loo river and mountains, U Alika i Iriny Guest House is set in Loo in the Krasnodar Krai. Free WiFi is available throughout the property and free private parking is available on site. 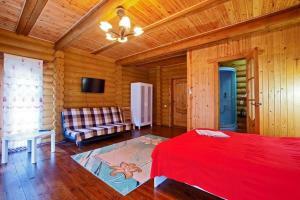 Rus Guest House is set in Vardane in the Krasnodar Krai Region, 700 metres from the Black Sea beach. Free WiFi and a private parking are available on site. Featuring an outdoor swimming pool, Zhemchizhuna Yamala is located in Loo. Among the various facilities of this property are barbecue facilities and a garden. Ostrov Sokrovishch Guest House is situated in Loo, within a walking distance of the Black Sea coast. Free WiFi, a heated swimming pool and free private parking are available on site. Featuring a garden, terrace and free WiFi, Guest House Agava is set in Loo, 3.4 km from Loo temple. Located in Loo, 3.3 km from Loo temple, Guest House Markar features barbecue facilities. Boasting barbecue facilities, a garden as well as a terrace, Guest House U Lidii is located in Loo, 3.7 km from Loo temple. Comfort Guest House is located in Loo, within a 3-minute walk of the Loo River. The Black Sea Beach is 500 metres away. Guest house Eva and Leo is offering accommodation in Loo. Offering a garden, the property is located within 3. Guesthouse Khobza Villa features free WiFi and views of mountain in Sochi. Providing a garden, the property is located within 28 km of Green Theatre. Boasting a terrace and bar, Guest house Coral Reef is situated in Loo, 5 km from Loo temple. All rooms feature a flat-screen TV with cable channels and a private bathroom. ШарЛООтка offers air-conditioned accommodation in Loo. With barbecue facilities, the property also features a terrace. Located in Loo, 3.3 km from Loo temple, Rostovchanka Guest House has barbecue facilities and garden. Featuring a terrace, air-conditioned rooms and free Wi-Fi, Hobza Hutor guest house is 500 metres from the coast of the Black Sea. This property offers a free car park.